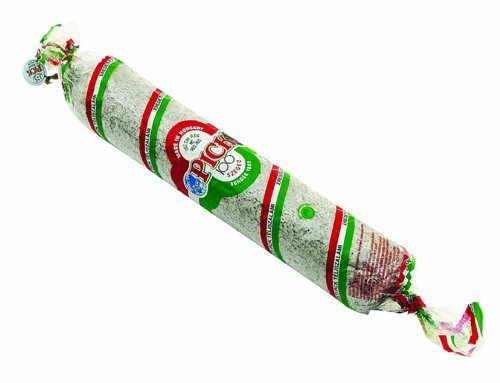 Csabai salami is for the more adventurous. 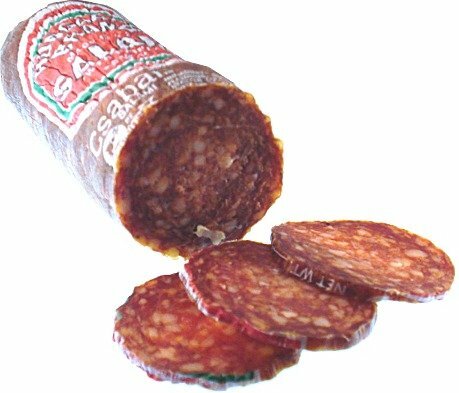 Named after the city of Csaba, where it was first made, centuries ago, it combines coarsely chopped meat blended with world renown Hungarian Paprika. 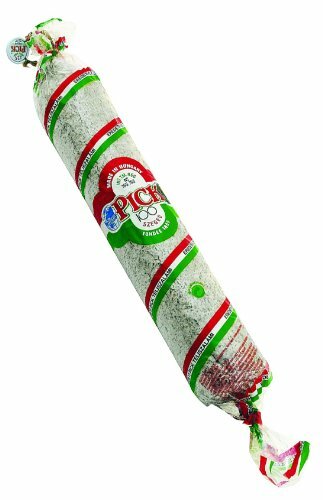 The result is a salami where both the juicy flavor of the meat is perfectly balanced with savory spices to produce a taste that tickles the palate. 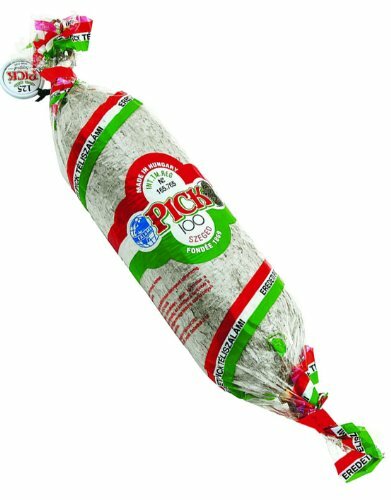 PICK Hungarian Salami, 400g Original Hungarian Salami made in Hungary in the town of Szeged. Made in Hungary. 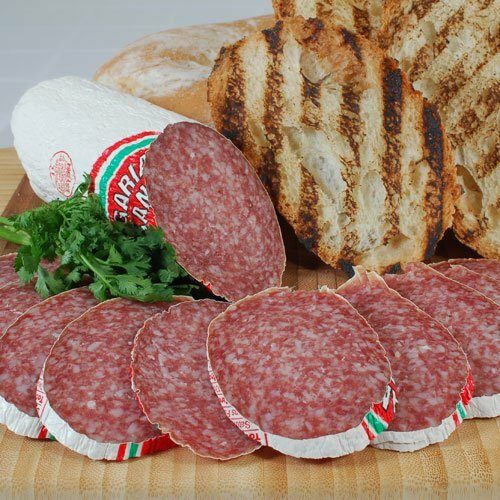 Original Hungarian Salami made in Hungary in the town of Szeged. Made in Hungary. 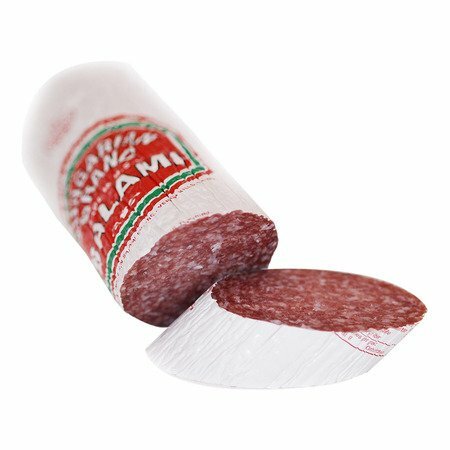 Teli Salami Bende 1 lb. 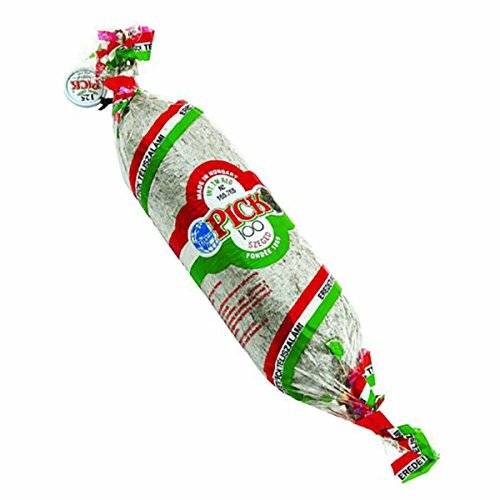 Teli Hungarian Salami Bende. Product of USA. Ingredients: Pork, salt, corn syrup solids, spice, dextrose, sodium ascorbate, sodium nitrate, flavoring lactic acid starter culture, smoke. 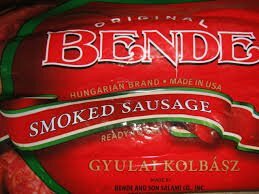 The Original Bende Smoked Sausage, Hungarian Brand, Made in USA. Ready to Eat. Bought Daily for Maximum Freshness!